Enter The Gay Gamer reader "sharc," who wrote in the comments section of that post: "Pretty sure I have a box for Ocarnia of Time sitting around somewhere. Gotta double check first, but you'd be welcome to take it. Encouraged, even." After sharc and I exchanged e-mails on the subject, I promptly and rather surprisingly forgot about it. Until a few days ago, that is, when the box in the photo below arrived on my doorstep. Please note the superb condition of said box. The reason it's in such great condition is that sharc packaged and shipped it with so much care that my usually cold and cynical heart (OK, that's somewhat, but not entirely, overstating things) nearly melted. As you can see, the box and cartridge are getting along famously--despite the fact that they met just minutes before the photo above was snapped. Anyway, thank you, sharc, for making this, er, peculiar love affair possible! AWESOME! My gosh, sir...you're hitting the good will jackpot recently! 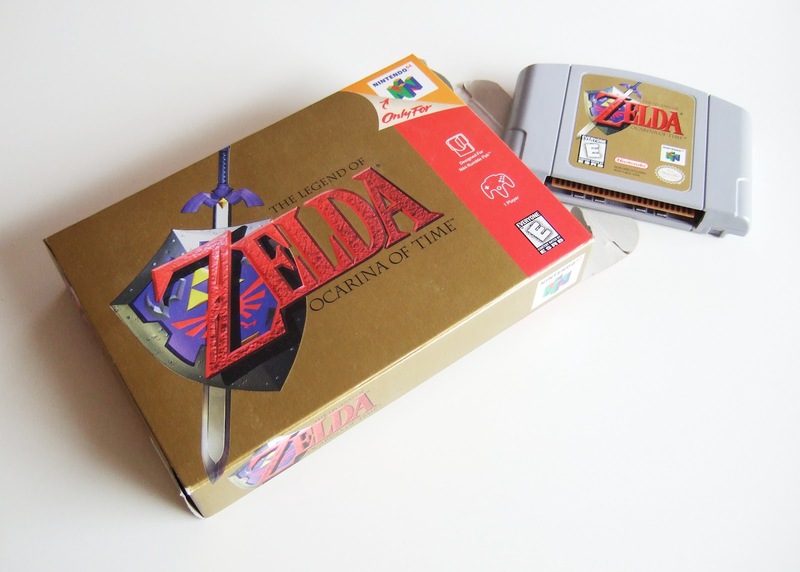 I actually got my copy when I bought my mom's coworker's N64. I never even got to look at the box though I did get the strategy guide he bought for the game. Adam: What a great story! I'm kind of amazed to hear that you didn't initially like the first Zelda game. What the reason, if you can remember? Anyway, you like it now, though, so that's all that matters. glad to see it arrived safely! nintendo boxes may as well be made of glass once they enter the mail, so overprotection is the best policy. Hey there, sharc! Oh, I agree with you about old Nintendo game boxes being more than a bit delicate. As such, thank you so much for packing this one with care. I really appreciate it! Hey there, CTJ! I was half-kidding with the "sans boite" comment, actually. Thanks for letting me know that most French gamers actually use the word "loose," though. How interesting!